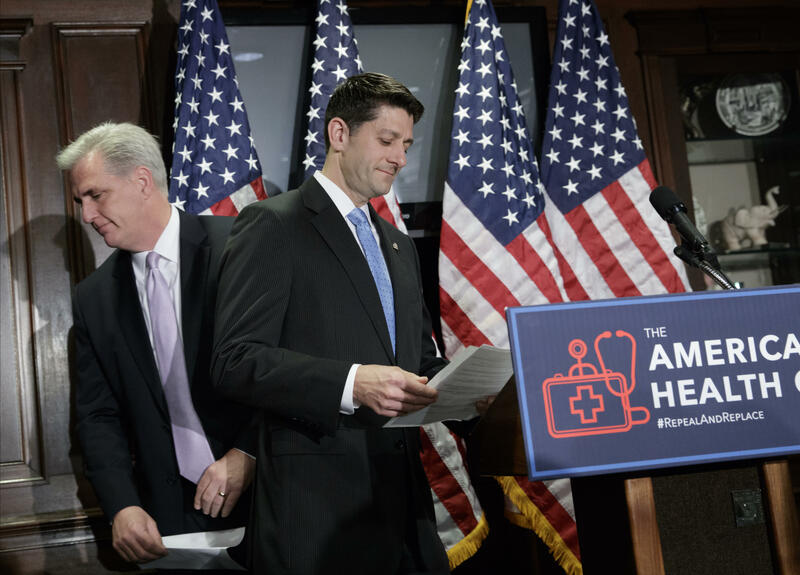 Some conservatives who are unhappy with the Republican bill to replace the Affordable Care Act (ACA) are saying that they’d be more likely to support it if the changes proposed to the Medicaid expansion are moved up from 2020 to next year. However, Republican House leaders are giving little indication that they’d consider modifying the bill in that way. “I think right now that’d be very difficult to do,” House Majority Leader Kevin McCarthy told reporters Friday. House Energy and Commerce Chairman Greg Walden added, “What we want to make sure is -- we don’t create any gaps here for people, as we give power back to the states, as we go back to a per capita Medicaid system, as we repeal Obamacare -- we want to make sure that we don’t create gaps,” so that the insurance market can get the reforms in place. House conservatives are complaining that the House GOP bill doesn’t roll back the Medicaid expansion quickly enough. The Republican Study Committee, for instance, wants to end the Medicaid expansion for new enrollees in 2018, as opposed to 2020. The problem for House Republican leaders is that the treatment of the Medicaid expansion is being attacked from both sides within the party. Four GOP senators this week attacked the bill’s Medicaid provisions, fearing that the draft bill doesn’t adequately protect individuals who are covered under the Medicaid expansion and doesn’t give states enough flexibility. The ACA expanded Medicaid coverage to include individuals under 65 years of age who earn up to 138 percent of the federal poverty level (a little under $17,000/year), in states that opted to accept the expansion. Thirty-one states plus the District of Columbia chose to expand Medicaid, resulting in the new coverage of over 11 million adults. The GOP plan allows enrollment to continue only until the end of 2019. States would not be allowed to opt into the Medicaid expansion in 2020, and no new individuals would be able to enroll either. Any individuals who have a break in coverage exceeding one month will also not be allowed to re-enroll. The GOP plan also caps federal funding for each enrollee.